WOW! 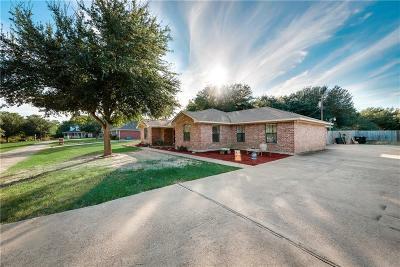 What a beautiful brick home available in Freestone County! This 3 bedrooms 3 FULL bath is over 2, 000 square foot with an attached garage. The kitchen has plenty of cabinet space to tuck away dishes and two breakfast or dining areas to entertain guests. Fall in love with this laundry room that includes a wash area as well as shelving and storage space. The master bath has 'his and hers' sinks as well as a relaxing tub separate from the shower. Also, enjoy your evenings relaxing on the deck by the pool or hiding out from the weather on the screened in back porch. This home has so many perks and so much to offer. You will not want to miss out on this property!